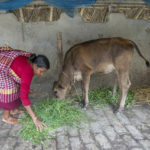 Land O’Lakes International Development and the International Livestock Research Institute (ILRI) have announced a webinar option for the upcoming "Animal Source Foods for Nutrition Impact: Evidence and Good Practices for Informed Project Design" workshop. 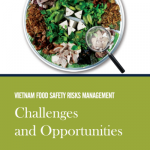 A recently-launched report on managing risks to food safety in Vietnam was prepared by the World Bank and other research and development partners at the request of the Government of Vietnam. The International Livestock Research Institute (ILRI) was the lead technical partner in development of the report. 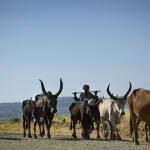 Join the third event in the Livestock & Household Nutrition Learning Series, convened by Land O’Lakes International Development and the International Livestock Research Institute (ILRI), funded through the USAID TOPS Small Grants Program. The webinar, "Addressing Food Safety in Animal Source Foods for Improved Nutrition," will be held online Wednesday, January 25 from 9:30-11:00am EST.